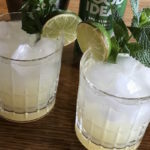 This skinny mojito recipe is free of sugar and sweeteners and is perfect for those wanting to watching their diet or have blood sugar issues. 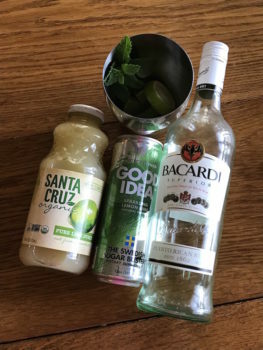 Speaking of blood sugar, this mojito cocktail just might lower it. I know it sounds crazy but I came across this sparkling water called Good Idea. It contains amino acids that have show to lower blood sugar when eaten with a high carb meal or sugar. So, with alcohol being considered a sugar I am using it as a mixer in this cocktail. 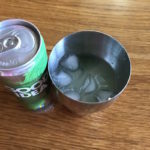 Here is the scoop on Good Idea Drinks and how they work. This recipe is free of sugars and sweeteners so it is a little tart. If you like your cocktails a little sweeter you could add a drizzle of agave nectar or sweetener of choice. I like using pure lime juice which you can find jarred or make your own by juicing fresh lime. Here is where you can purchase the Good Idea Drinks. In cocktail shaker add 2 sprigs of mint and 6 lime slices. Muddle until juice is released from limes and mint is aromatic. Add rum and lime juice and 1/2 cup ice cubes. Shake well. Divide remaining ice into two glasses. 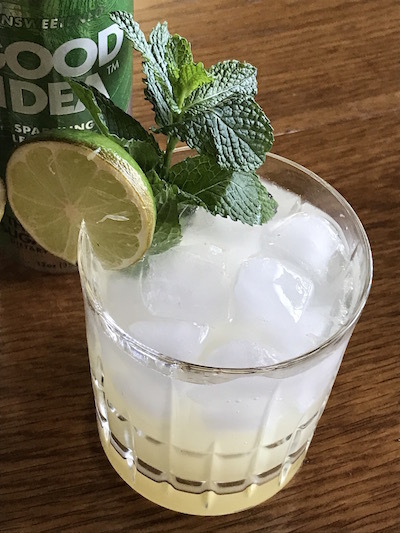 Using cocktail shaker strainer divide mojito mixture into two glasses. Top off with desired amount of Good Idea sparkling water. Garnish with remaining lime slices and mint. Enjoy! 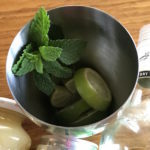 If you would like your mojito a little sweeter add sweetener of choice in with the limes and mint and muddle until sugar or sweetener is mostly dissolved.